THE ROD FOR SHEEP, SNAKES, AND THE SEA | Thoughts of a Calabarboy. 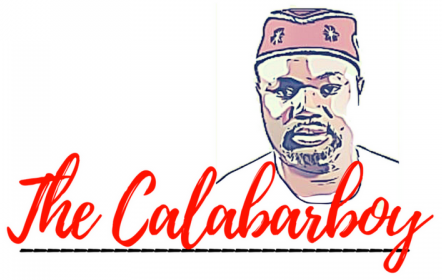 THE ROD FOR SHEEP, SNAKES, AND THE SEA – Thoughts of a Calabarboy. There are probably some three kinds of challenges you will face as you journey through your life; the challenges that prove your abilities, those that come to swallow you up, and those that come to oppose you from moving forward. I have always tried to see how I could group the nature of my tribulations so that I can easily identify as I meet them. It was until of late when I decided to study the book of Exodus that I entered into some understanding of how I could assess the character and peculiarity of the situations which we like face all the time. These are the situations I refer to as Sheep, Snakes, and the Sea; the three great S which some of us will have to confront at one time or the other. Before I attempt at breaking these down, it would be proper to evoke the context of the story that equips my muse on this issue. Exodus introduces the man Moses to us all, and tells us of his rather strange upbringing and how he was like nothing short of a drama from beginning to the end. But from the whole, nothing struck me as much as the opening chapters of Exodus which tells of his unfortunate attempt at leadership, which led to his ultimate escape from the palace into the wilderness. He became a Shepherd, then a deliverer sent by God, then a way maker. Through this process, one thing was central in the scheme of things, and that was the Rod in his hands. Herein lays the convergence of three separate issues: Sheep, Snakes, and the Sea. With that Rod, he tended to the Sheep, swallowed up Snakes, and parted the Sea. This is what forms the central argument of my discourse, on how one thing; the Rod in Moses’ hand was what really mattered in the three kinds of circumstances he found himself at the start of his career, or profession if I may say that. Unknowingly he had pick up a rod like any Shepherd would do in order to guide and guard his Sheep, but it went beyond its primary assignment and was transformed into a life saver and a way maker for Moses. The gist is that as I traveled through this story, I found some parallels in my life and thought to highlight that for others to glean from. It is very easy to ignore the things that we already have and look out for other things, which we assume will be what we need for the kinds of difficulties we face. Well I want to take out time now to share how the Rod in your hand is sufficient for your ‘Sheep’, your ‘Snakes’, and you ‘Sea’. This will be my concern for the next two days, so enjoy the ride with me and your story may as well encourage someone else. Waoh! This is truly inspiring big bro. uncle Reg as witty as ever,great work!.